Unknown Author. Henry Moore: At Dulwich Picture Gallery. Scala Publishers. 2004. ISBN 978-1-85759-352-5. John Hedgecoe. 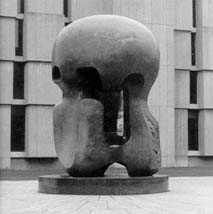 A Monumental Vision: The Sculpture of Henry Moore. Collins & Brown Ltd. 1998. ISBN 978-1-55670-683-7.